A fresh view on anonymity: Jambler.io unveils a new Bitcoin mixing approach! 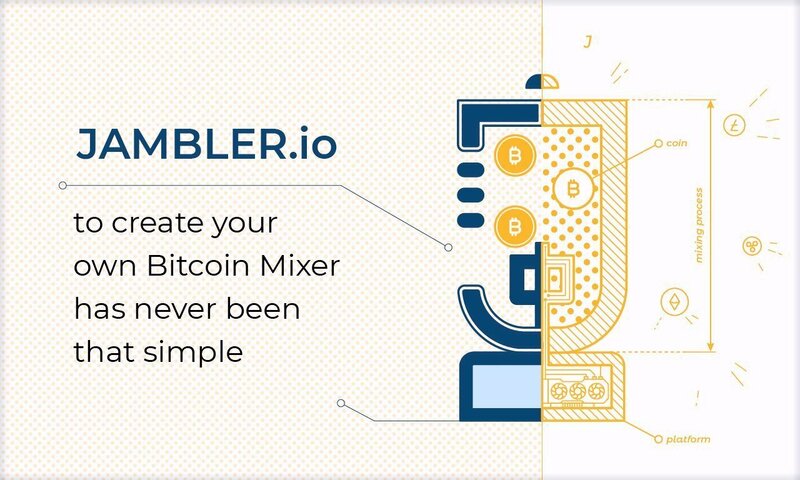 Jambler.io - a platform that gives users an opportunity to create their own Bitcoin mixer and profit from cryptocurrency anonymization services has officially launched on August 19. To avoid a conflict of objectives between the platform and partners, Jambler.io itself does not interact directly with customers. The platform renders its customers cleansing services through a partner network. Moreover, Jambler.io provides more intense cryptocurrency anonymization for customers. An algorithm of deep anonymization by Jambler.io does not envisage mixing cryptocurrencies of various origin but involves selling surely clean money from cryptocurrency stock exchanges to customers which are not linked to any particular account. First of all, apologies for the very long maintenance yesterday spanning almost 3/4 of a day. One of the causes of this maintenance was a huge influx of users playing Rambo. After some investigation it appears that fresh user accounts are playing with very low bets (1-2 sat) with the hope that they will win Rambo's Stash. Due to this we were doing over 15 million internal transactions per day on average, compared to the previous average of 3-5 million. This greatly increased the size of our database as well as brought us closer to the limit that was in place around 2.1 billion. The question is, why the sudden influx of users now? For those that do not know, a couple of days ago the Stash revenue share percent was increased from 0.1% to 0.5%. This means that the stash grows quicker as we give back more to fill it! The original intention for Rambo's Stash is an upgraded form of the Rambo Jackpot from the previous game but harder to win. Making it harder to win means that the amount will continue to increase making the winner's prize much more sizeable.